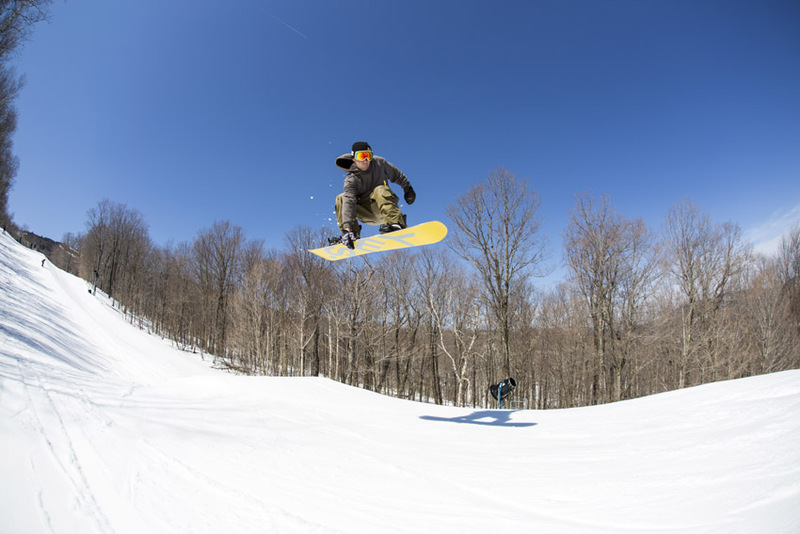 SPRING CONDITIONS ARE THE BEST!! 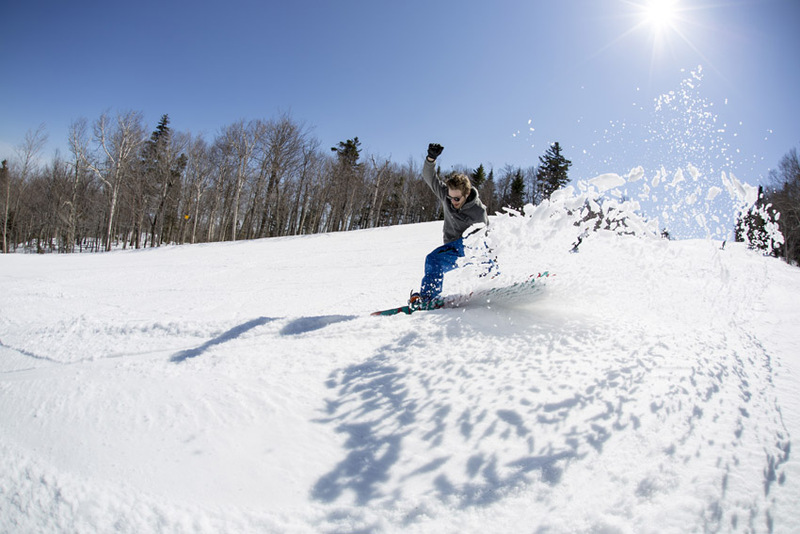 THERE IS NOTHING LIKE HITTING THE HILL ON A WARM SUNNY DAY IN SPRING!! Matt. Peggy, Etta Sending it to the top! 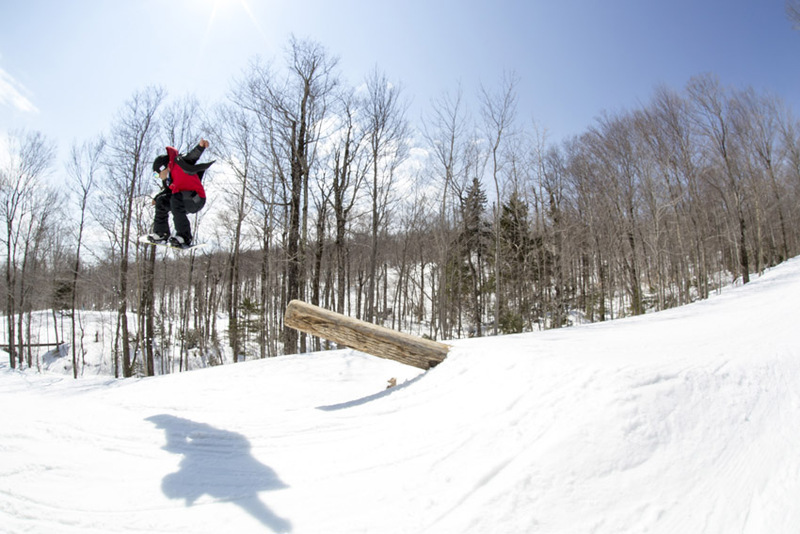 The OvR crew hit Mount Snow hard Last Thursday April 2 ! The day started off cold and as it went on the clouds disappeared and the sun stayed high in the sky until we all left. 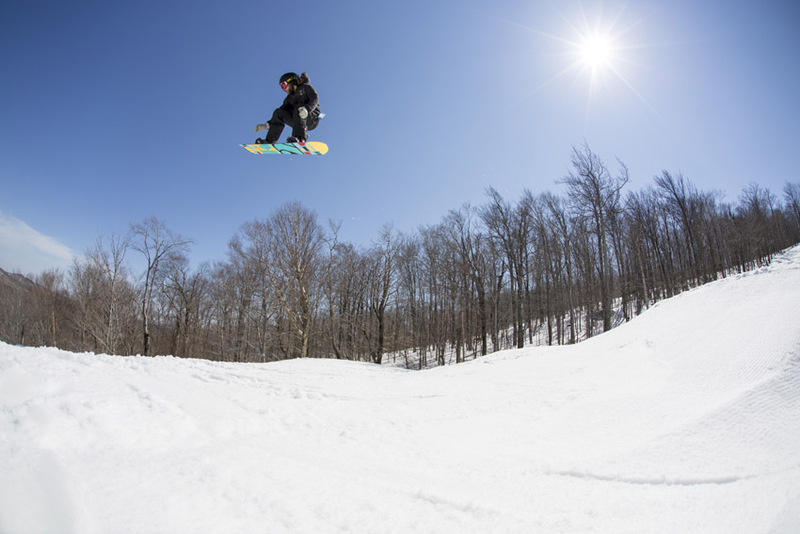 The temperatures reached a high of 45 degrees and the snow was soft and fun. The Carinthia Park was on point! With over 3 different parks to choose from every feature was set up perfect. With no lift lines and no park lines we never waited once all day and it was as if we had the entire place to ourselves. Jeremy Hill with the Power Slash! THE SNOW WAS SOFT AND FUN! SPRAYING IT AT YOUR FRIENDS WAS TO HARD TO PASS UP! NO LINES ANYWHERE ALL DAY. WE WERE ALL CHARGING HARD! All of the jumps were perfect! With a nice soft landing, everyone was going the distance. Its nice to know that if you don’t clear the jump or even over shoot it you will be landing in a couple inches of soft slushy snow. It was definetly nice to see everyone pushing their abilities and trying new tricks with confidence. Cody with the solid indy air. EVERYONE WAS PUSHING THEIR ABILITIES TO THE MAX! A COUPLE BACK FLIPS AND SOME SOLID CORKED 360’S WERE A HIGHLIGHT FOR THE DAY. OVRRIDE CREW WAS HOLDING IT DOWN ! Owen almost cleared the entire park with this air. 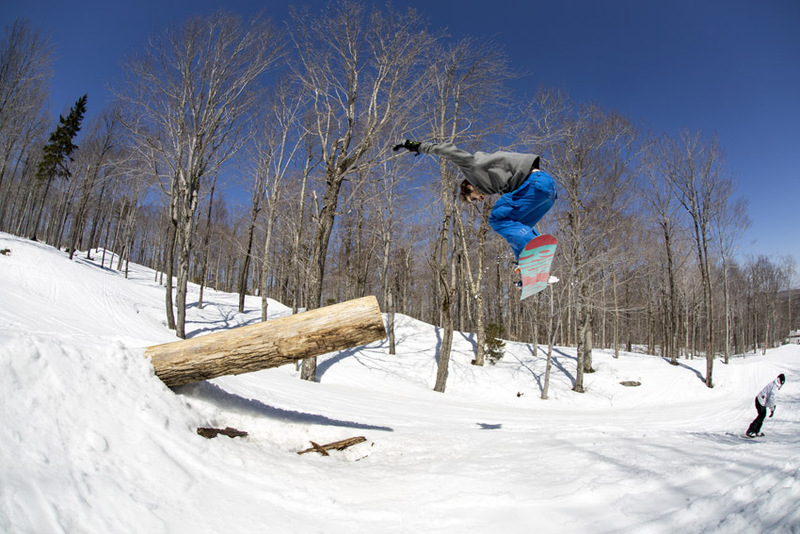 One of the best features in the “Natural Park” was the Pole Jam. Everyone in the crew was flying off this thing all day long. With a nice run up and steep landing it was hard not to go back and hit it every run. Jeremy Pole Jam back 180 out! Pericles sending the pole jam! 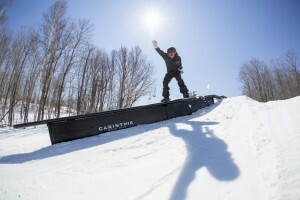 The Carinthia Half Pipe is one of the best in the east coast. It starts off with 18 foot transition and as you get halfway down it drops to about 8 feet and at the bottom a nice 6. Its perfect for all skill level and after 2pm both sides get sun light and it softens up really nice. The OvR crew hiked it for the last hour of our day and it was best way to end it for sure. KILLER CREW! GRILLING AT THE END OF THE DAY! 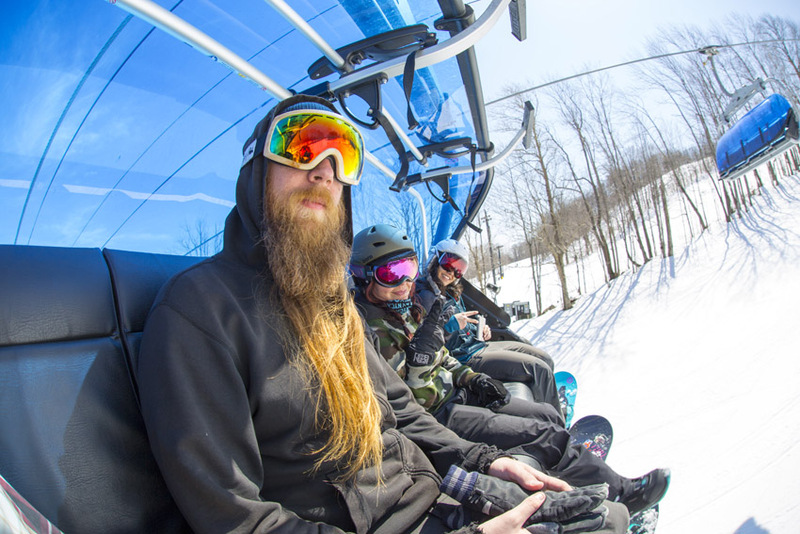 DONT MISS OUT ON THE AMAZING SPRING CONDITIONS, GET YOUR CREW TOGETHER AND HIT THE SLOPES WITH OVRRIDE! 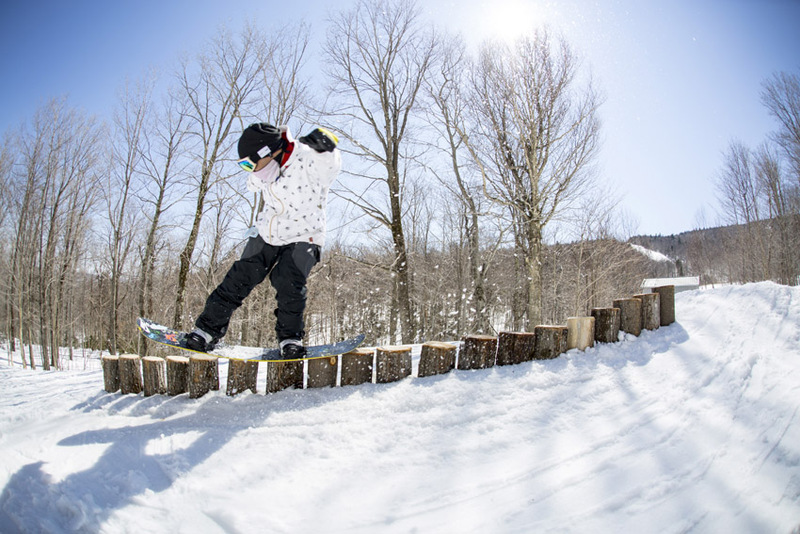 This entry was posted in Chris's Blog, Events, News, OvR Shout Outs, OvRcrew, Trips and tagged carinthia park, crew day, Mount Snow, snowboarding, Vermont. Bookmark the permalink.